Do you like adorable things? I am a huge fan of adorableness and most things related to it, this includes beauty products with adorably cute packaging. 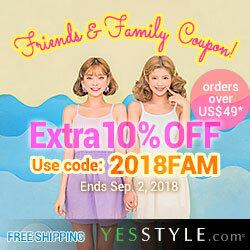 One of South Korea's biggest and cutest beauty companies is very well known for their cute packaging products. This company is Etude House and they have some seriously kawaii beauty product packaging. 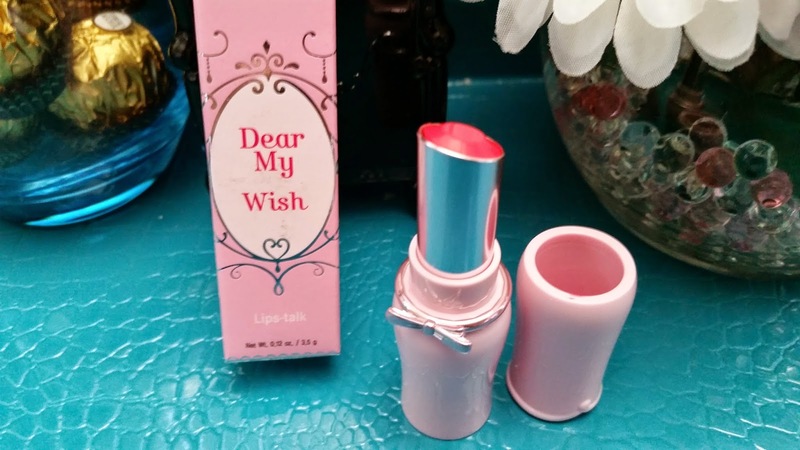 So today, I will be sharing my thoughts and review on one of their cute lipsticks. 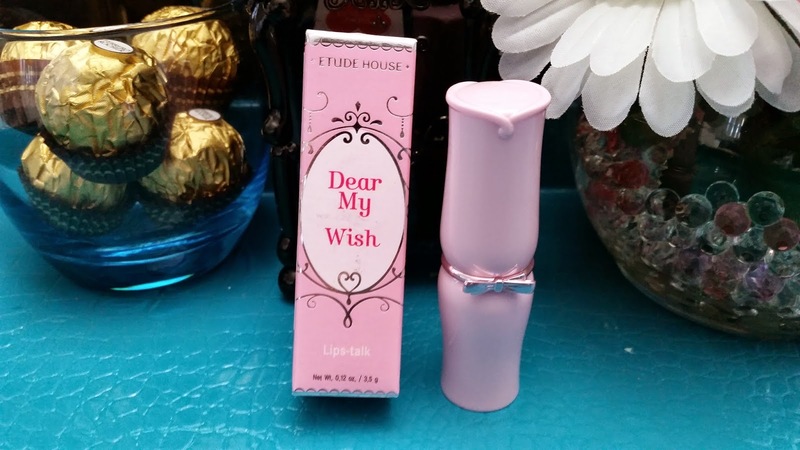 It is the Etude House Dear My Wish Lips-talk. Product Description: A lipstick with a soft and smooth texture that melts nicely onto lips and delivers vivid colors with just one touch. It can also leave the lips moisturized and glowing. Its lightweight texture will feel like it is melting on the lips when applied. To apply, draw the lip line clearly with a lip brush or lip pencil, then swipe the lipstick on the lips. Make you the color is applied evenly. My Thoughts: Truthfully, I purchased this lipstick due to its adorable packaging. I'm still a lip balm fiend and uses that about 80% of the time. It's those rare 20% of the times when I use things like lipsticks, lip tints, etc. Although, I've started to use tinted lip balms now and like them quite a lot. I guess my not using lipsticks and such often is from the fact that my lips get dry and chapped easily. So I tend to worry more about keeping them moist and nice as opposed to the color I will apply on them. Lipsticks or lip tints and the likes do not look good on chapped lips, so I'd rather just wear lip balms or tinted lip balms and not worry about it. If I have an event or date or something else where I know I will be wearing lipstick/lip tint that day, than I'll make sure my lips are not chapped and dry in advance, so I won't have to worry about it. Since I don't wear lipsticks much, I wasn't sure what color I should buy. So I bought one that I do not have, OR202. None of my lipsticks (the few that I have) have any orange like colors in them. Since the OR202 is a pinkish orange color lipstick, reminds of the coral colors. I thought this lipstick would be a great way to try out orange lipsticks without jumping right into one. At least this color have some red/pink in it that can help me adjust to the color and determine if I like it or not. The lipstick itself is pretty sleek and simple. It's in a twist up packaging like most lipsticks with a flat top. I think the outer packaging is just so adorable and the bow adds a perfect touch. The lipstick itself feels moist when applied and one coat is really enough some times. There are times when I use 2 coats, but those are rare. The color is very vivid, like a neon coral color and it does not look that orange at all, which I like. I can easily use this lipstick to create gradient lips with no issues, which is what I do most of the times when I use this lipstick. The formula is very pigmented and creamy, very blendable and smooth. Unfortunately, such a cute and pigmented lipstick has a couple of downsides. The Lips-talk has short lasting power. I did my 12 hours test with this lipstick and I had to retouch in just 4 hours. It fades faster if you are eating or drinking, and it can leave a mark on things like coffee cups. If you don't eat or drink (can you imagine not eating or drinking? I can't, I love to snack ^^) than the lasting power might be a bit longer. I would say if your lips are chapped or dry, you have to prep them first before applying this lipstick. This lipstick will easily show any dry areas on your lips and can even accentuate it. Make sure to prep your lips the night before with lips scrubs and masks and lip balm so that it's smooth for application. 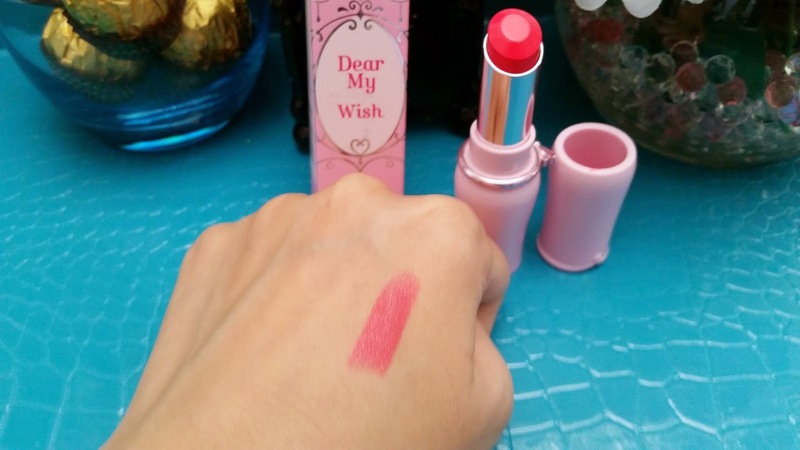 Final Thoughts: It's a pretty decent lipstick for its price. Despite its short lasting power, it's got plenty of pros to make it a product worth trying. Especially for its decent price and adorable packaging. I love using this lipstick for my gradient lip looks since it is so creamy making it easy to blend. Although its lasting power can be of an issue, I find that if I create my gradient lip look and set it, it can last around 5 or 6 hours. Then I always bring a tinted lip balm of similar color and apply that when the gradient lip look start to fade. It helps the lipstick to fade slower and can preserve the look a bit longer. I always make sure to prepare my lips before I use this lipstick so my lips won't have any dry areas for it to accentuate. I think I was surprised to find that I actually like this color. I don't think I'm up for a full on orange color lipstick, however, I think I would love to try out other coral shades. 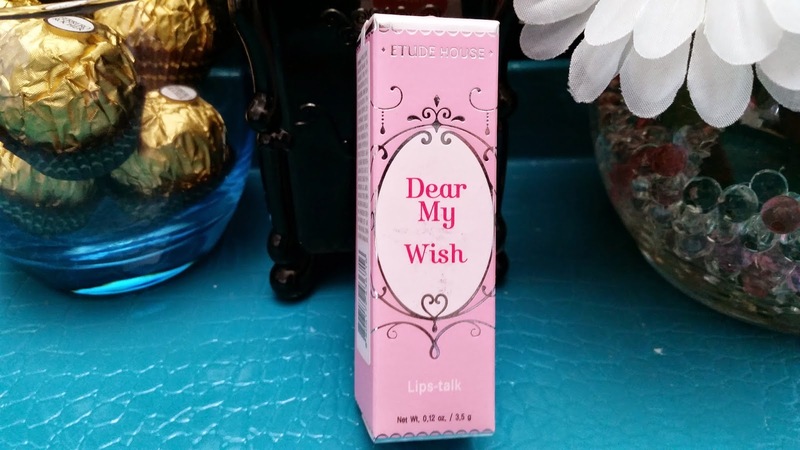 Overall, I am pretty happy with this Dear My Wish Lips-Talk lipstick and would like to try others from the Etude House brand. 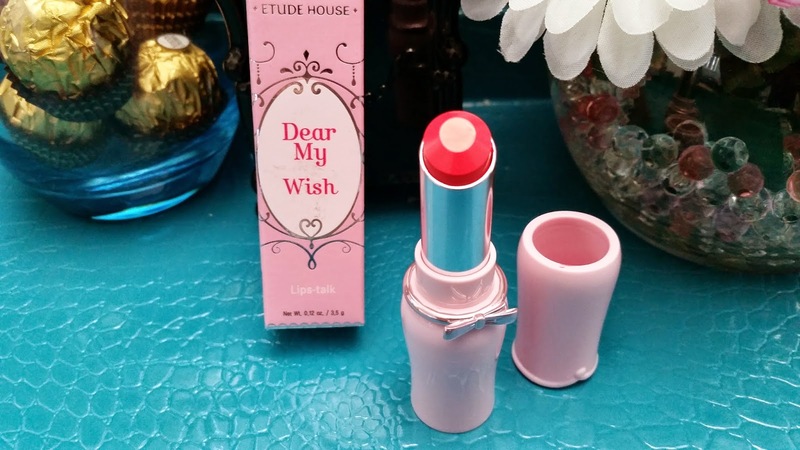 Did you ever try the Etude House Dear My Wish Lips-Talk lipsticks?